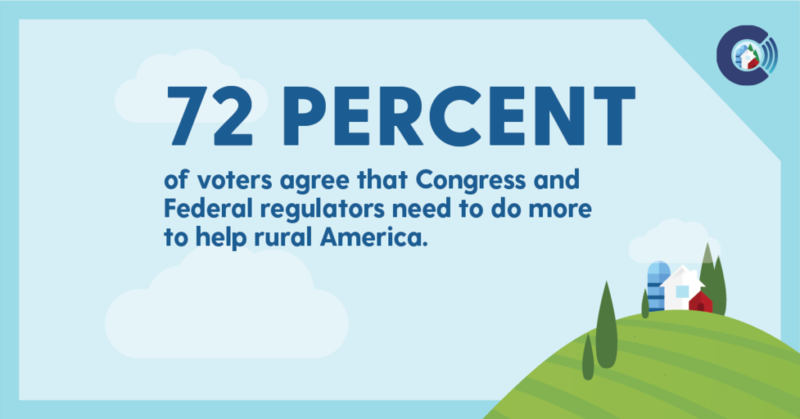 Washington, D.C. – Nearly three in four voters believe expanding rural broadband access would have a positive impact on the nation’s economy, but 72 percent believe that Congress and federal regulators “need to do more” to connect rural America, according to a new nationwide survey released today by Connect Americans Now (CAN). 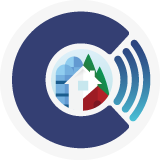 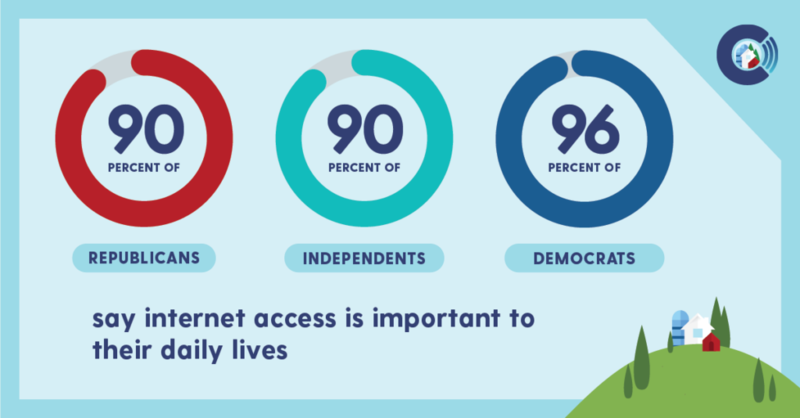 The survey also revealed that 85 percent of voters believe improving rural broadband connectivity would have a positive impact for those on the wrong side of the digital divide. 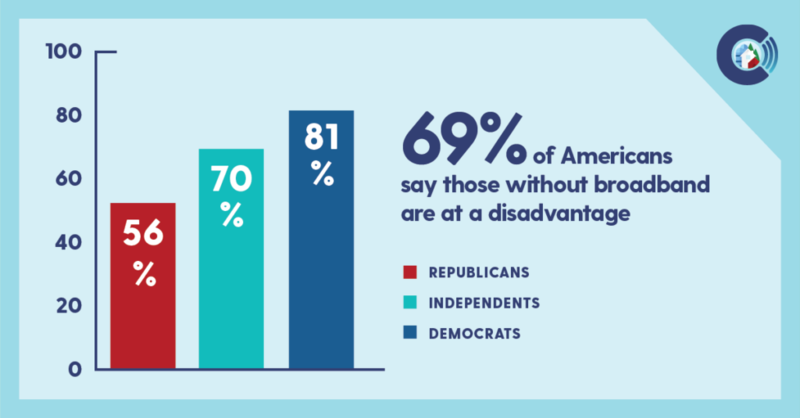 The online survey of 800 registered voters was conducted in late August with Public Opinion Strategies, an Alexandria-based survey research firm. 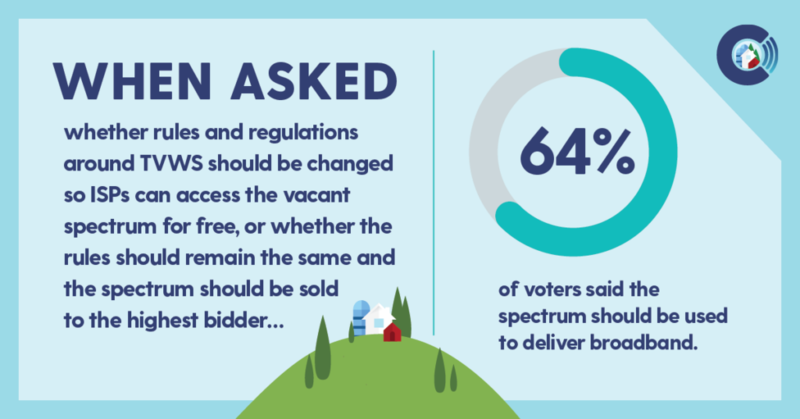 When explained what TVWS are and asked whether the vacant spectrum should be sold to the highest bidder or available for local providers to deploy rural broadband, 64 percent of voters believed they should be available for broadband, and only 11 percent said it should not be.